Today I was reading about a high school that recently upgraded their existing wireless mic systems with the new Shure BLX Series Wireless Systems. 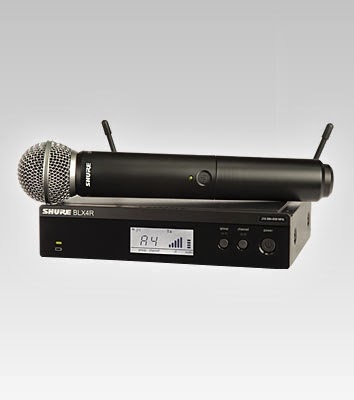 Upon, inspection of the products on the Shure.com website, I see that the new wireless mic systems are quite good. 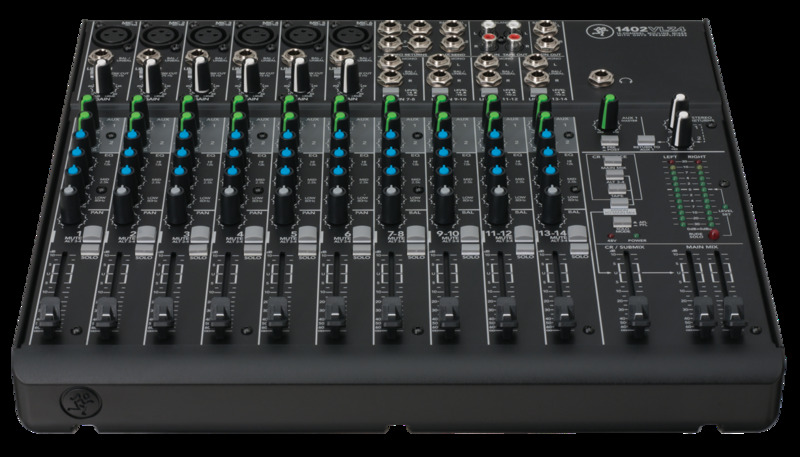 They feature a simple user interface making it easy to setup up great sounding wireless mic systems in any venue. I am working on a proposal for my kid's school to upgrade their current portable sound system with some new gear including a couple channels of handheld wireless microphones. The BLX Series wireless appear to be a great fit for the project that I am working on. The current sound system for the school gymnasium is a rolling rack, portable sound system with portable loudspeakers on stands. Some of the current gear is going to be upgraded with better gear while the wireless mic systems are a proposed addition to the system. Shure mics were my first choice for wireless systems because, I have worked with Shure over the years and their systems always work well. As for the rest of the sound gear, I am proposing a Mackie 1402VLZ4 mixing console, a QSC GX5 power amplifier, a dbx 231s graphic EQ, and a Furman M-8Lx power conditioner all for the rolling rack setup. The main goal is to keep the costs down and have the proposal ready for the next budgets in the new school year. The school principal told me that money for any new purchases would not be available until November in the next school year. That is okay. I will have plenty of time to put the proposal together and submit it to the school principal for consideration. In the meantime, I am donating a used, Sony 5 CD Changer to replace their current one does not read discs anymore. Also, in the rollling rack is a Technics Dual Cassette deck that NEVER gets used. I proposed to take out that unit from the rack to make room for the new gear proposed for the system. As I progress with this project, I will update this post with more details. Stay tuned! Labels: dbx EQ, Furman power conditioner, Mackie mixer, QSC power amp, school gymnasium sound system upgrades, Shure BLX24R/SM58 handheld wireless system, Sony CD changer.